Answers were to be given in the format of the program title and a description of why the program was their favourite. We then asked them to sort these programs into similar groups. 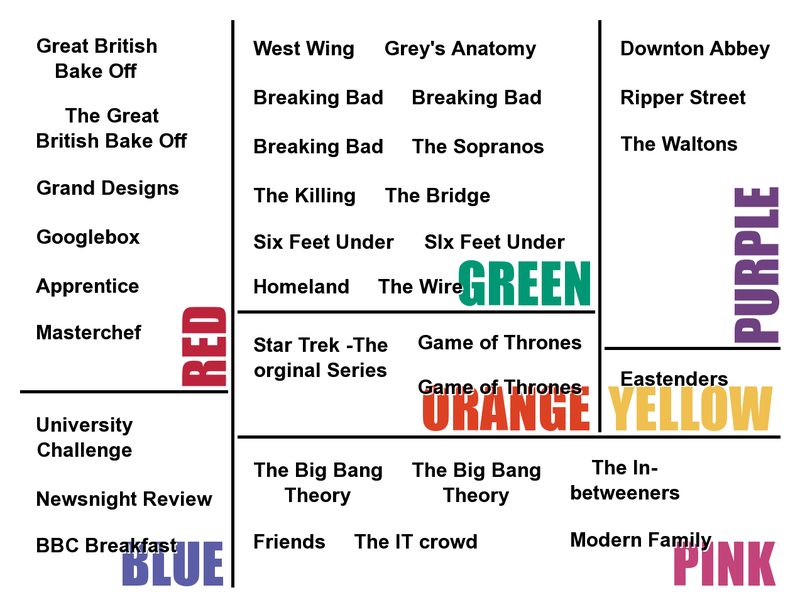 Each section represents TV programs which the attendees thought were similar.